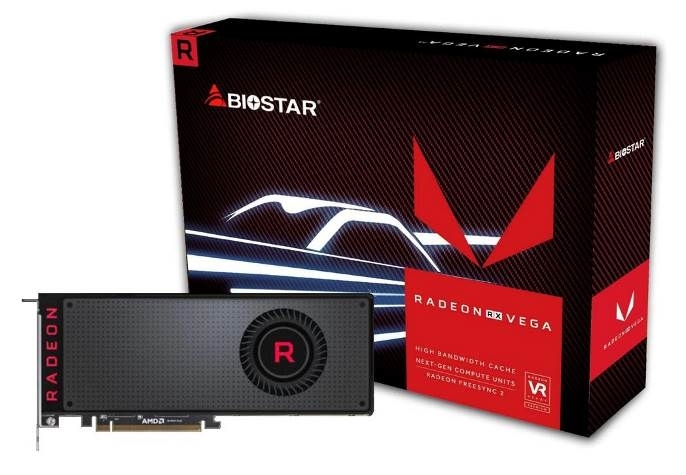 October 26th, 2017, Taipei, Taiwan – BIOSTAR announces the availability of its Radeon RX Vega 64 VAVAT5VM88 graphics card in selected regions. 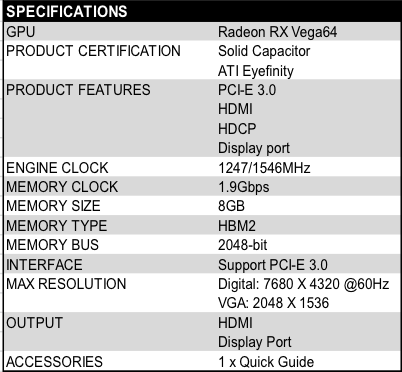 The BIOSTAR RX Vega 64 epitomizes the best in high-end graphics with high resolutions, high frame rates and exceptional power efficiency with the all new Vega architecture. 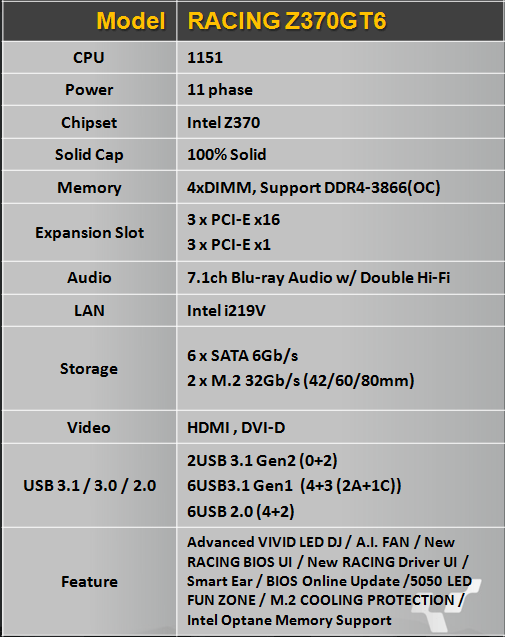 Building the ultimate gaming system with the recently introduced BIOSTAR RACING Z370GT6 motherboard for the new 8th generation Intel Core processors, makes these the perfect compliment. The Vega 64 is one of AMD’s newest and most powerful graphics cards today featuring 8GB HBM2, the latest in graphics memory technology, with a 2048-bit memory interface and 4096 stream processors. It delivers smooth extreme gaming performance in the newest DirectX 12 and Vulkan games making it perfect for gaming and also for professional content creation. The Vega 64 also offers some of the highest hash rates in crypto mining, thanks to its powerful yet power efficient usage. 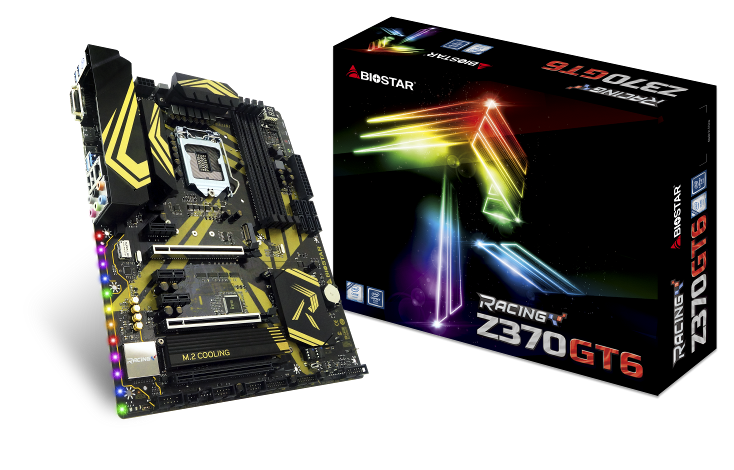 The BIOSTAR RACING Z370GT6 motherboard which supports the new 8th generation Intel Core processors, is the company’s first 3rd generation RACING motherboard that features new luxurious golden theme ‘tattoo’ design, revamped user-friendly BIOS and driver utilities for full control cooling of A.I. FAN, full control of RGB lighting with the Advanced VIVID LED DJ and GT Touch to enable the ECO and Sport modes. Harness the power of Intel’s newest and most powerful mainstream processors with the BIOSTAR RACING Z370GT6 motherboard. Together with the new BIOSTAR Vega 64 graphics card, create the ultimate gaming, mining, overclocking and professional desktop solution altogether.